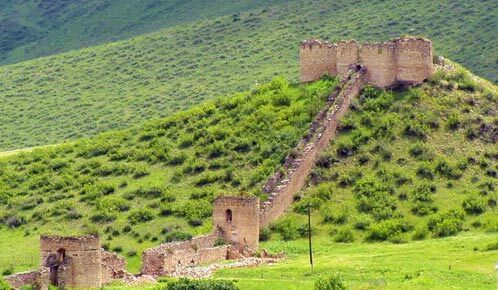 Two communities in the province of Gegharkunik may become a real discovery through the first ecotourism festival in Armenia, organizers of the event told media Thursday. “On June 4 and 5, an ecotourism festival will be held in the Gomk and Martiros communities in the Gegharkunik province, which aims at exploring the full potential of these communities, providing alternative income for communities in the future,” said one of the organizers of the event Sargis Aghayan, the deputy head of the Young Biologists Association NGO. A number of events will be held during the festival, such as a cycling race, riding, hiking, rock climbing, as well as bird-watching and an exhibition of agricultural products. Aghayan said there were specific reasons for holding the festival in the Martiros and Gomk communities. “These communities are rich in biodiversity, have beautiful fauna and great historical heritage which was previously unknown [to the general public]. Besides, being considered as an internationally recognized part of eco-corridors, they make up migration areas for bezoar goats, Armenian mouflons and other rare species,” he said. Vazgen Galstyan, the head of the Center for Jermuk Development NGO, said that unlike traditional tourism, tourists visiting communities and enjoying their vacations in nature have to make some investments for residents of communities. “The mountain hiking culture is just a small component of ecotourism. When social problems of a community are partially solved, residents think that they can benefit from the environment, making its protection a top priority,” he said. The organizers also said that while they emphasize domestic tourism, by cooperation with travel agencies it is also possible to receive guests from other countries. The festival is ready to host from 500 to 2,000 tourists, 400 of which have already confirmed their participation.